The Full Stack Hacker Bundle is set to end soon, which offers 8 web developer courses with over 70 hours of training for 93% off at $49 ($668 regular price). If you have always wanted to learn how to become a web developer, get started today with these e-learning courses, as they’ll teach you step-by-step on how to master various programming languages. 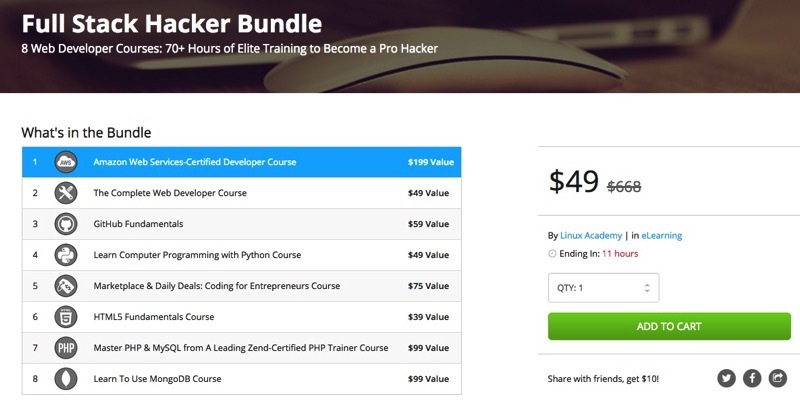 Click here to jump on the Full Stack Hacker Bundle before it ends in 11 hours.